The City of Duncan is named after William Duncan. He came to Oklahoma around 1870, where he married a Chickasaw woman. 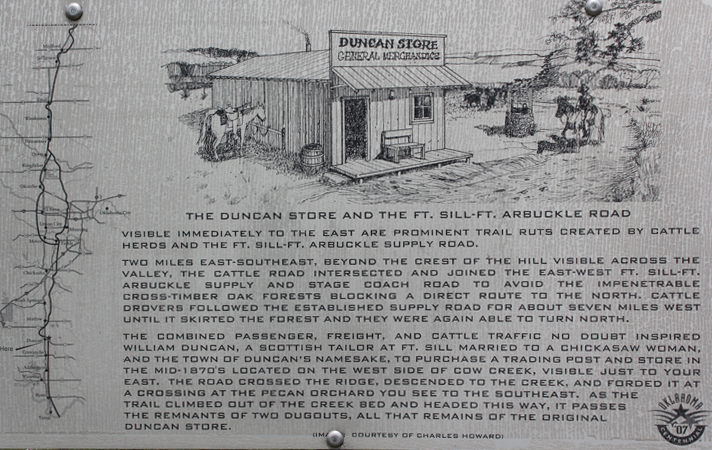 He started a Store called the "Duncan Store" near cow Creek. His store was one of the key trade centers for travelers to Ft. Sill and along the Chisholm Trail.